As the world watched, there certainly seemed to be no room for a grey area reaction to this November’s US presidential election. It is no secret that this nation finds itself tremendously polarized, resulting in a cycle as pockets of violence born of fear create yet more fear. Of course, artists have been a mirror for society for centuries, documenting and satirizing historic events. 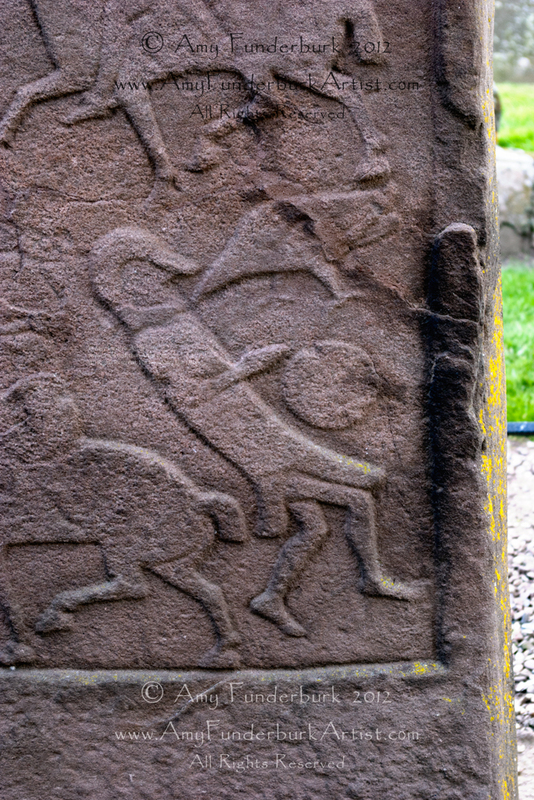 The famed Pictish carved stone from Aberlemno, Scotland shown above depicts a battle, most commonly believed to be the famous Battle of Nechtansmere, an important Pictish victory fought in 685 CE. Certain dissident artists, including Ai Weiwei from China, are well known for work that is steeped in social activism or political commentary. One look at Guernica, Picasso’s mammoth monochromatic painting from 1937 in which he depicted the brutal bombing of a northern Spanish village, can show just how powerful the voice of an artist can be. Both Delacroix and Francisco Goya are frequently cited as influences on Picasso as he planned Guernica. In Goya’s stirring work completed in 1814, The Third of May, 1808 in Madrid, the artist shows an emotional event: French troops systematically massacring Spanish freedom fighters. In juxtaposition to such dramatic imagery of specific historic events, even the Pre-Raphaelite Brotherhood and their followers based certain works on social themes, including the plight of the Victorian woman.4 Through allegory and symbol, these British artists reacted against what they perceived as the societal ills brought about by the Industrial Age. Art reflects history and preserves it for the future like a time capsule. Art is a catalyst for change, growth, and self-awareness. If you are a fellow artist moved by current events, think about how your visual voice can make a difference. “I was quite moved by the project because in addition to participating in a collaborative art installation, it was a moment to gather and come together as neighbors and residents of the city,” Gina said. Participants were respectful during their visit to the Subway Therapy wall, she added. “Occasionally the adhesive gave way and a message floated to the floor. Someone always picked it up and reattached the note to the wall.” This is a perfect example of how a simple idea can have powerful results and how art has the potential to make a difference in people’s lives whether they directly participate or are moved by the messages of others. “Art is one of the most positive reaffirming things we can do in the face of adversity,” says Camille Seaman, who affects change with her stunning photographs of the melting Polar Regions.6 A champion for the issue of Climate Change, her recent works include portraits of the First Nations water protectors at Standing Rock Sioux Reservation in North Dakota. What is happening now politically has made me examine my own body of work, and what I aim to say through my imagery about the significance of the landscape and human condition. However you may have voted, we can all make a difference. In my opinion, subjects that benefit everyone like the environment and the arts should be non-partisan. Such things that nurture the soul should be safeguarded. If you are an art appreciator, now is the perfect time to be a patron for your favorite creatives who give voice to your shared points of view. If you are a fellow artist, let’s roll up our sleeves now and get to work. Check out #SubwayTherapy to view examples and learn more about this project. You can find Gina on Twitter @gfuenteswalker and check out her work by visiting www.ginafuenteswalker.com. 6 Currently Camille is seeking sponsorship through a GoFundMe campaign, “Into the Ice: Return to Antarctica.” (https://www.gofundme.com/returntoantarctica) You can discover her haunting iceberg photographs and other works on her website, www.camilleseaman.com. 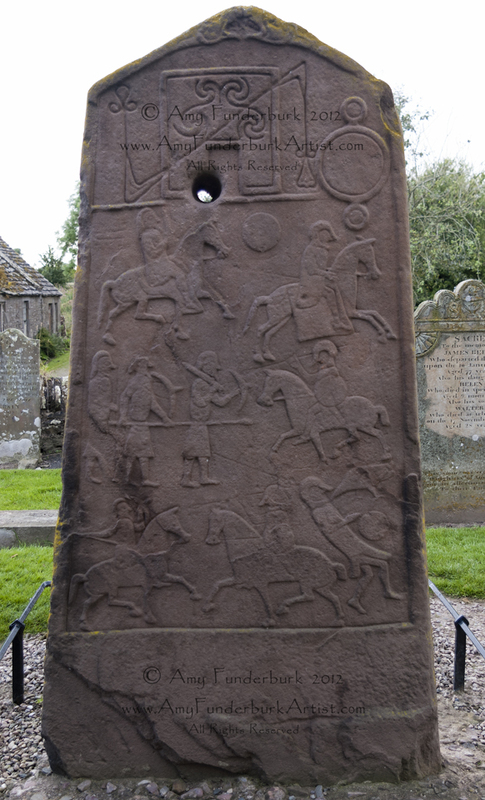 This entry was posted in Current Events, General art discussion and philosophy, Inspirational Quotes, Other artists and tagged Aberlemno, Art activism, Camille Seaman, Eugene Delacroix, fear, fearlessness, Francisco Goya, Gina Fuentes Walker, Levee, Matthew Chaves, Pablo Picasso, Pictish, Pictish carved stone, Scotland, Subway Therapy, the Picts, The Pre-Raphaelite Brotherhood, The Pre-Raphaelites, The PreRaphaelite Brotherhood, The PreRaphaelites. New Work: How Does an Artist Know When a Piece is Finished?